Dermatology & Skin Cancer Surgery Center and Preferred Dermatology understand the importance of giving back to the community. We are excited to announce our partnership with Kids Prosper Kids, a local non-profit organization! 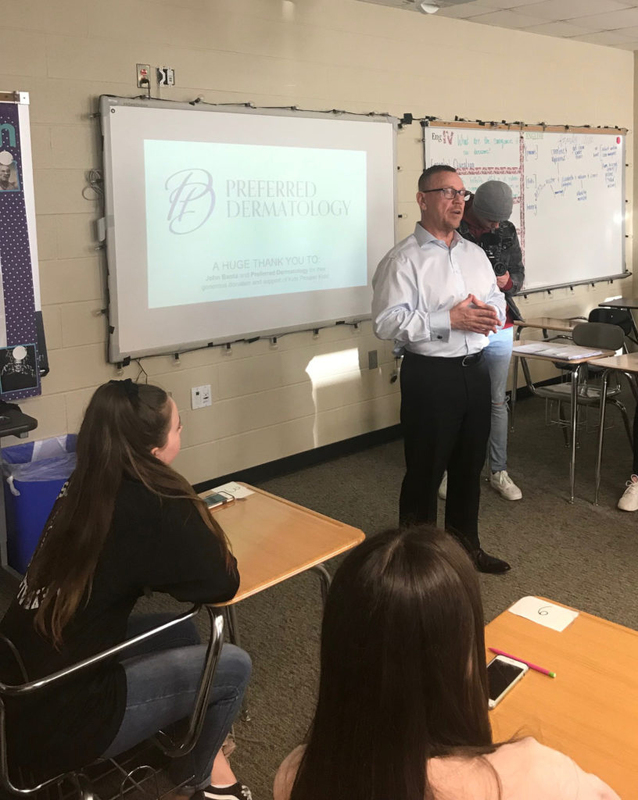 On January 30th, CEO Jonathan Banta went to Prosper High School to meet with some of the members of Kids Prosper Kids. Jonathan got the opportunity to share insight with the kids regarding presentation skills and their fundraising efforts as well as present the organization with a donation check. Kids Prosper Kids is a student-led non-profit organization that empowers the next generation to make a difference and generate change locally and globally. The organization’s members are all 4th-12th grade students who are supported by a team of adults who are dedicated to helping these kids make a difference, including VP of Student Relations Kimberli Brackett and High School Leader Lesley Anderson. Visit their website below to learn more about the organization and the projects they are working on in Ghana, West Africa as well as in the Dallas/Fort Worth metroplex.